December 21, 2015 — Volkswagen’s deceptive engine controls, uncovered a few months ago, gave its cars a dual personality: one for everyday operation and a secret greener one used to rank higher than warranted on vehicle emissions tests. Regulators in the U.S. and Europe are now examining whether some television manufacturers similarly misbehaved, programming their screens to detect a standard video test clip, dial down their brightness and thus cheat on energy consumption tests. While action deliberately aimed at providing deceptively favorable information about environmental impacts could obviously make a person cynical about a company’s claims, efficiency advocates see similar risk hiding in the open in the “eco” buttons popping up on a wide array of products, from automobiles and TVs to dishwashers and water heaters. The multiple energy personalities in today’s devices present complex, ill-defined and often confusing options for consumers and regulators to consider. “It’s not simply on and off anymore,” says Noah Horowitz, who runs the Natural Resources Defense Council’s Center for Energy Efficiency. And much as the cheat devices made VW car buyers think the product they were purchasing was more environmentally friendly than it really was in actual use, consumers may be misled when eco buttons and modes enable manufacturers to score top marks in government-mandated energy labeling programs. “You may not see the energy savings that you were expecting to see because the tests are done in conditions that don’t reflect reality,” says Christoforos Spiliotopoulos, an energy policy officer with Brussels-based product standards advocacy group ECOS. I got my first glimpse of what Spiliotopoulous and his colleagues call the “eco-button loophole” two years ago when I set up a new TV emblazoned with the logo for ENERGY STAR, a mark of excellence maintained by the U.S. Environmental Protection Agency. In fact, the preset energy-saving mode that had earned my TV its ENERGY STAR credential delivered a drearily dim picture. Its efficiency promise went out the window as I set the TV to another preset mode called “Movie” that uses about 10 percent more power. 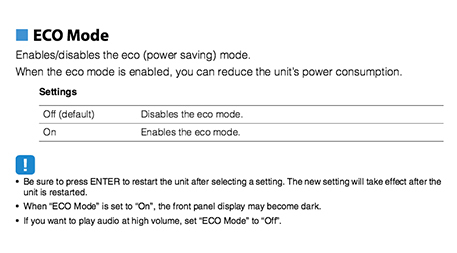 As this AV receiver owners manual suggests, eco modes can save energy, but at a price to performance some may not be willing to pay. It turns out that my experience is widely shared. Consumer Reports noted in 2014 that many TVs qualify for ENERGY STAR by employing a power-saving mode that “can result in a dim or washed-out picture.” The magazine endorsed my solution, suggesting the switch to “Movie” mode for “a natural-looking picture.” HomeTheaterReview.com concurred last September, advising readers to dump the “ridiculously dim Standard mode” created for ENERGY STAR. Katharine Kaplan, who leads the EPA team that develops ENERGY STAR’s specifications, says that is worrying feedback, since one of her program’s founding tenets is that certified products should deliver as good or better all-around performance than the competition. Kaplan says EPA has responded, adjusting its TV specifications twice in the past three years to protect against manufacturers using dim settings to win efficiency ratings. The EPA’s October 2015 update defines, for the first time, an absolute minimum brightness for standard home viewing. Eco-mode performance degradation is a turnoff in other products as well. Consider automobiles, where an increasing array of models come equipped with a console button promising fuel savings by dampening vehicle acceleration. 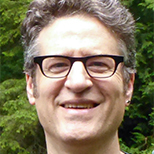 Jack Barkenbus, a political scientist at Vanderbilt University’s Climate Change Research Network, admits to seldom pressing the eco button in his Nissan Leaf: Motoring with the button pressed, he says, is akin to “trying to drive through molasses.” He suspects that, as with my TV experience, he is not the only one forgoing an eco option’s promised energy savings. “If the eco label comes with a trade-off in performance, the public isn’t buying,” Barkenbus says. The good news with eco buttons in cars is that no one is being misled. EPA rules require buttons-off operation when testing cars’ fuel economy. And if people do press cars’ eco buttons, they really can save fuel. That wasn’t the case with clothes dryers, according to 2011 tests by the NRDC: they discovered two dryers’ eco modes left clothes damp, requiring a second run through, which negated any energy savings. Such disappointing experiences breed consumer distrust, with sometimes ironic outcomes. Consider Europe’s efforts to make dishwashers more efficient. The European Commission’s Ecodesign program mandates that each dishwasher offer a “reference” cycle that cleans an average load of dishes with minimum energy and water use. But a sudsy debate has erupted since 2011, when European standards body CENELEC instructed manufacturers to name that official reference cycle “Eco” on their dishwasher control panels. The problem, say consumer groups, is that users may distrust the label and choose another cycle. Defending dishwashers’ regulated eco button is Milena Presutto, the senior researcher at Italian energy research agency ENEA who drafted Europe’s legislation covering dishwashers. She says that while eco modes of the past could not always handle normally soiled dishes, today’s standards assure consumers that pressing the eco button will clean everyday dishes with the efficiency promised on the machines’ energy labels. “That’s the issue we wanted to solve,” says Presutto. The problem, say consumer groups, is that users may distrust the label and choose another cycle. 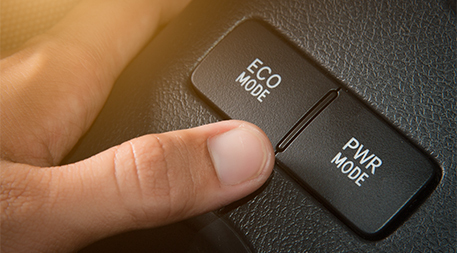 Their concern is supported by a large market study by Stamminger and his colleagues published this year — one of the few to date examining how consumers relate to eco modes. The survey of dishwasher use in several thousand German households found that most shy away from eco cycles. “They are used for less than 20 percent of dishwashing cycles,” says Stamminger. The net result could be that European dishwashers are using more energy than necessary, since manufacturers focus their engineering efforts on perfecting the legally mandated reference cycle. NRDC’s Horowitz says eco modes that actually reduce energy use are worth saving, even when they trade a bit of convenience for enhanced energy efficiency. The same eco button that takes the fun out of driving for some, or renders a TV lifeless for me, may be just fine to others. Sometimes, he says, it’s simply a matter of context. An eco cycle on a clothes dryer that runs for two hours at low temperature to save kilowatts may be a nonstarter if one is running multiple laundry loads to keep a family clean, but it could work great for a single load. “If you’re going out to a movie, you don’t care [if the laundry’s done quickly] and you should have the option to save energy,” Horowitz says. Household energy consumption already is beginning to decline in many countries, thanks to better insulation and more efficient appliances. Eco modes, says Horowitz, can help accelerate that. “We can drive that trend even further if we take proper advantage of these settings and capabilities,” says Horowitz. And what if the eco buttons come up short? Think about letting the world know about it. One of the biggest challenges facing rating programs such as EPA’s ENERGY STAR, academic researchers and consumer advocates alike is a dearth of feedback on how consumers actually use products. Those efficiency wonks are dying to hear from you. Very interesting. My Hyundai Accent has an eco mode that I always keep on but it was delivered with the eco mode off. Maybe Energy Star needs to work with the FTC and their Green Guides and drop an Energy Star Label or other environmental claim if the consumer has the ability to opt out of such benefits. Another black eye for capitalism! Actually, Bruce, this looks like a black eye for the environmental movement. "Eco" is becoming associated with "poor performance" and "scam to get a nice Energy Star label". With the low cost of adding a button and a small amount of software, manufacturers can keep consumers happy with good performance and regulators happy with low consumption. Everybody is winning except for the term "eco". Consumers can even feel good about replacing their older, still perfectly workable gear with newer, fancier gear because they're helping the environment!